If you’re still getting through the leftover chicken or turkey from Christmas, we have the perfect feed-a-crowd recipe for you. 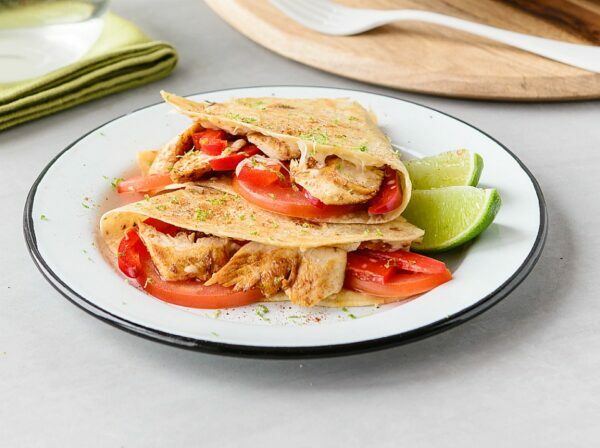 These Tasty Mexican Chicken Quesadillas are the perfect, family friendly recipe and ideal if you’re part of the 28 Day Weight Loss Challenge. You can also use leftover turkey, or even ham if you have some left. We love how quick and easy these quesadillas are to whip up, especially great for warm nights when you really don’t want to have to turn on the oven. You can even ‘cook’ these quesadillas using a sandwich press! Mexican is also the perfect, kid-friendly food. These quesadillas can be filled individually to suit little tastebuds. Being able to eat them without cutlery makes them a hit with all ages. Spray your frypan or a sandwich press with olive oil spray and heat to medium. Lay tortilla out flat in the pan and top half of it with cooked chicken, capsicum, tomato, red onion and cheese. Fold the tortilla over in half to enclose the filling. Gently push down on the filled tortilla in the frypan (or you can place it in a heated sandwich press). Cook for approximately 5 minutes or until the cheese has melted. If using a sandwich press, remove from heat and set aside to cool slightly. If using a frypan, gently flip to cook other side. Once cooked through, remove from frypan and set aside to cool slightly. Cut into triangles to serve with a sprinkling of lime zest and some lime wedges for a Mexican kick. Recipe serves 4 with 256 calories per serve. Want more recipes using leftovers? Click here. 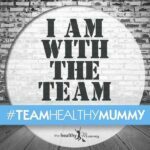 For more healthy recipes just like this, why not join thousands of other mums on our next 28 Day Weight Loss Challenge? Our January challenge is the BELLY BUSTER challenge and you can find out more about it here.